If you’ve been keeping your ears open recently regarding the internet community, you may have been hearing some terms that don’t seem to make any sense. Panda, Penguin, Hummingbird—what do these animals have to do with surfing the web, and what is it about them that has some internet marketers so agitated? Well, for the average person who uses the internet for work, shopping, and play, these terms don’t have a whole lot of significance. However, if your curiosity won’t let you leave this one alone, we can help you figure out exactly what this zoo of critters means for the internet, and what it means for users such as yourself. Read on for enlightenment. The first thing that you need to know is that all of these animals (Panda, Penguin, and Hummingbird) are actually codenames for updates to the Google search engine. Google search is the most popular and widely-used web search engine in the world. Google Search is used an average of over 5 billion times a day. This amounts to a fairly wide consumer base for dear old Google to have to keep happy. In an effort to do just that, Google revealed an update back in 2011. The update, known as Google Panda, basically used new algorithms to help identify which sites actually offer good, dependable content, and increase their ranking in the search results accordingly. For average users, this meant that the returns that they get from their search engine would be more accurate and authoritative. This sounds like a good thing, and for most people it was (and still is), however, some online marketers who had come to depend on low-quality link building saw it as the beginning of the end. 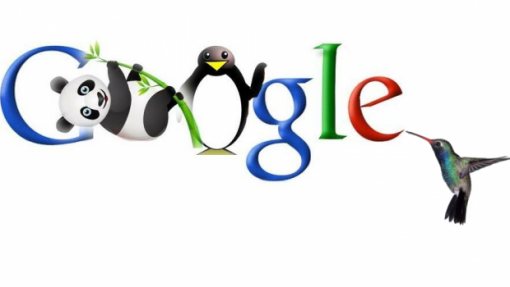 Google Penguin followed Google Panda back in 2012, and while Panda did its best to promote high-quality sites, Penguin turned its attention to those web pages that weren’t playing fair. Think of Penguin as the ‘bad-cop’ to Panda’s ‘good-cop.’ Its main purpose was to identify sites that engaged in link-spamming, and to penalize their ranking so that they don’t appear on the first page of search results. While Panda was bad for some search engine marketers, Penguin was even worse. Now it was clear that Google was intending to target dishonest site owners specifically. However, for the average person, it only meant that visited sites would be less likely to contain keyword stuffing, invisible text, or doorway pages. Once again, this was an update that strove to make the user’s experience even better. Google Hummingbird is the most recent addition to the search engine update menagerie, yet despite the current buzz surrounding it, it will also have the least impact on average users and search marketers alike. Hummingbird was described as the most significant change to Google’s search algorithm in the past twelve years, and in a way, it is. Hummingbird changes the way Google processes your search. Instead of simply finding results for the main words in your sentence, Hummingbird groups your entire search query together in just the way that it was typed. If you ask how to get to Mt. Rushmore, it will provide you with directions, as opposed to directing you to Mt. Rushmore’s Wikipedia page. Likewise, searches for ‘home automation’ will direct you to the websites for companies such as Vivint, or ADT, instead of just finding pages that include the words ‘home’ and ‘automation’ somewhere in the text. Hummingbird is basically an advanced language intelligence that recognizes the relationships between words and phrases in a sentence, and focuses on the users’ meaning and intent. One reason that this is being done is to be more useful to users who rely on spoken searches as opposed to ones that are entered in with a keyboard. It is also useful when dealing with “long-tail’ searches, which are specific questions or requests made by the user. Hummingbird will provide more relevant search results, instead of just directing users to the same highest-traffic sites. For digital marketers, this really doesn’t change a thing. For the average user, it means only that they’ll be more likely to end up with the site they want. So, don’t worry about Google’s zoological updates. After all, Google has a pretty sweet deal going; they’re not going to be doing anything too drastic to the way things work.